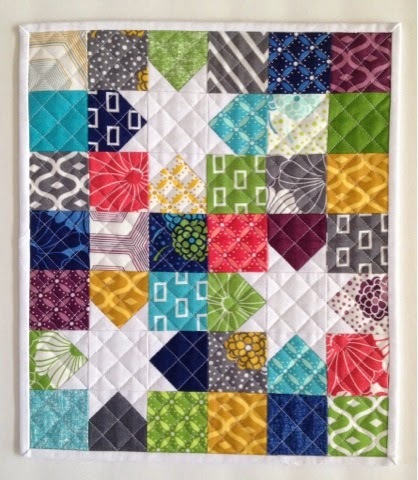 "Lucky Stars Mini in Simply Style"
I fell in love with Vanessa Christenson's Lucky Stars Mini quilt which was shown in Love Patchwork & Quilting Magazine, Issue 16, made up in one of her newest line of fabrics, Color Theory. 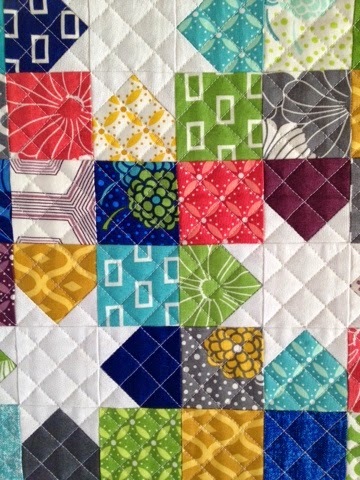 My LQS only had Layer Cakes of Color Theory and I couldn't justify buying one to cut a mini charm pack out of it since I'm trying to shop from my stash (a charm pack would have been ok, a mini charm pack would have been perfect!) 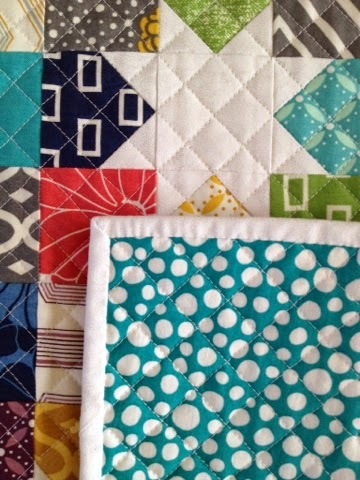 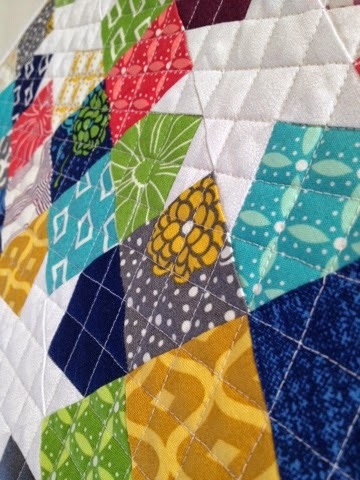 Then I remembered I had scraps of Simply Style by V & Co, and got to work. 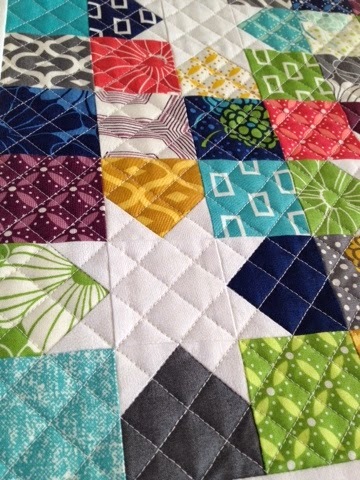 I quilted the entire quilt with 50 wt Aurifil 2024 (white) in a cross-hatch pattern.